It’s very funny, the guy’s hysterical ranting on the subject of Merlot. But talk about a bum rap. Historically, Merlot is one of the noble grapes of Bordeaux; indeed, it is the basis upon which most of the great wines of Bordeaux’s Right Bank are created. And the fictional obsession of that “Sideways” character notwithstanding, many a pleasurable Merlot continues to flow from California producers. Two charming expressions of this maligned grape are the subjects at hand — Clos du Val’s Napa Valley Merlot and Ferrari-Carano’s Sonoma County Merlot, both from the 2011 vintage. The Clos du Val Merlot ($27) is a deep plum color, and the nose similarly offers dark fruits such as plum and currant. 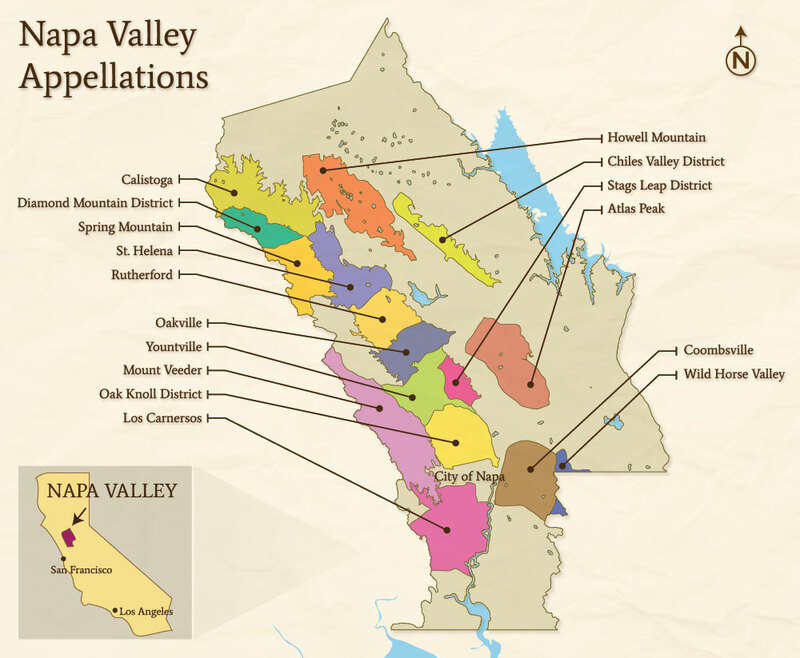 Perhaps not surprising from a producer in Napa, where Cabernet Sauvignon is king, the Clos du Val is blended from 77 percent Merlot with a hearty 16 percent factor of Cabernet Sauvignon, along with 7 percent Cabernet Franc. This is an elegantly crafted wine, silky and medium bodied with a generous finish. The palate is dominated by concentrated dried dark fruit with a distinctive hint of fig and a splash of chocolate cream. An hour of aeration allowed the wine to gain both body and intensity, and for that hedonistic chocolate quality to rise in the glass. 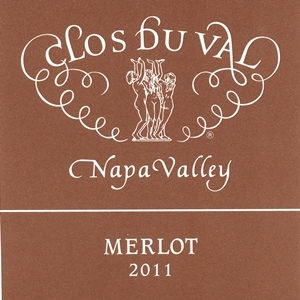 Clos du Val’s 2011 Merlot also displays ripe tannins and sufficient acidity to lend the wine structure and complexity. It also comes with a refreshingly modest alcoholic content of 13.5 percent. 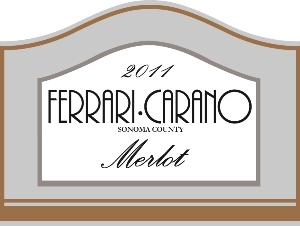 Ferrari-Carano’s Sonoma County Merlot 2011 ($24) is 91 percent Merlot augmented by Cabernet Sauvignon only. The color is royal purple, the nose of earth, cedar, spice and licorice. It is full-bodied and packed with flavor notes of blackberry and bittersweet chocolate. This is a plush wine, seductive in its ample texture and smooth mouth-feel. Despite its excellent acid frame and forward tannins, both qualities suggesting some cellar potential, this succulent wine strikes me as one for immediate enjoyment. Given the heady amplitude of this Ferrari-Carano Merlot, its modest 13.5 percent alcohol content might be taken as a bonus. Likewise, its bounteous fruit comes across as layered rather than merely overt. Appealing balance, all around.